I can't remember when they were so small. And yet, the seeds of who they've become are clearly visible. It's also plain to see the joy in Tracey's smile. John's protective nature holds mom with both hands. Kate's squirming to get just where SHE wants to be. Stella sits placidly in the middle. And, at the heart of it all, Tracey holds everything that matters most in the world to her. 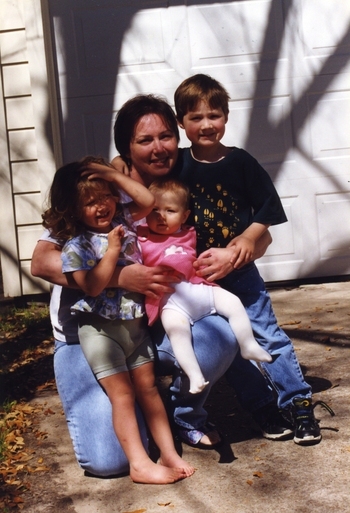 From John's birth forward, her children were the center of Tracey's world. Sure, she had other interests and gave them ample attention. But, when her kids called, everything else waited. I finally figured this out around the time Stella came along. Loving them--even when they're not so lovable--as time together speeds by is a lesson she taught by example.